New Directions Publishing Corporation, 9780811218030, 101pp. 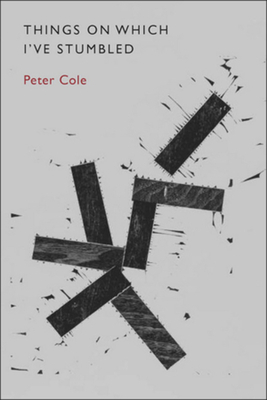 In Peter Cole's remarkable new book, the forces and sources that have long driven his work come together in singular fashion. Things on Which I've Stumbled rides a variable music that takes it from an archeology of mysterious poetic fragments unearthed in an ancient Egyptian synagogue to poignant political commentary on the blighted hills surrounding modern Jerusalem. Cole's vision of connectedness, his wit, and his grounded wisdom, along with his keen sense of literature's place in a meaningful life, render these poems at once fresh and abiding. Widely acclaimed for his translations from Hebrew and Arabic, Cole is also the author of two highly praised collections of poems. Writing in The New York Review of Books, Harold Bloom called Peter Cole "a major poet-translator." In Things on Which I've Stumbled, he turns to translating the world.